After getting past the initial confusion as to what title was what and what character was who, I thoroughly enjoyed the book. 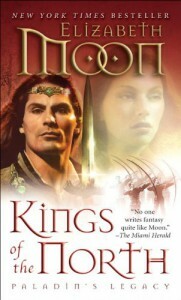 This second installment provides a good mix of fantasy, politics, and even a bit of a love story. I enjoyed the lack of gender distinction in titles, as well. It's refreshing, really, for those under certain superiors to view said superiors merely as their superiors, not female or male. I believe that gave the story and the world an overall balance and increase in credibility. A lot of military fantasy novels don't handle gender the way she does, so I can greatly appreciate and admire that. The viewpoints switching as often as they did also allows the reader to really get into the head of different characters, which makes their interaction with one another and with other characters a lot easier to understand and to follow. There is also significant character development because of this, despite the fact that nothing extremely climatic occurs in the second book. I can't wait to see what comes next.